Home article , feature Who is behind Frugal Freebies? Hi, I am Catherine, work-at-home mom to three grown sons (Jason, Michael and Joshua), one grandson (Christopher), and married to a wonderful man named Rob. We live in Southern Ontario, Canada. 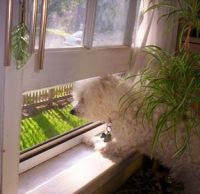 We also have a totally spoilt Bichon Frise named Buddy, who only weighs 12 lbs but keeps me safe from wild dogs all day long as he watches out the window - well, between naps that is! 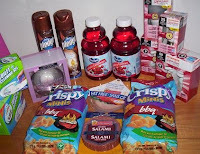 I first discovered freebies and coupons as a young mum, and now that I have the entire internet to search - my new husband is amazed at how much free stuff I have got and how much we have saved! I started searching for free samples to help us cut costs, and before you know it, it had become a blog! I had found so many free samples, I just had to share them with my friends. I check out every free sample site, order whatever I can get shipped to Canada, and try to remember to post a picture when the samples arrive. No scams, no long surveys, just free stuff! It's a lot harder to find good freebies in Canada though, I am amazed at how many US freebies I can find in comparison to Canadian freebies. I find I get more free product coupons here in Canada than I get free product samples in the mail. But the last five shopping trips totaled a savings of $225 with coupons - even though Canadian stores don't offer 2x, 3x coupons - so it is certainly worth searching them out! In the recent past we went to the movies for free, ate at A+W and Harvey's for free and my husband got his morning coffee for free at McDonald's. We've gotten 6 cases of Pepsi for free, 15 bottles of Ocean Spray Cranberry Cocktail Juice for free, and have saved over 600 in coupons! On Canada Day, we all ate for free at the Mandarin All-You-Can-Eat Buffet. 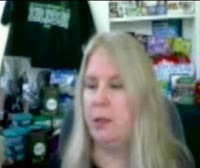 Come join us on Frugal Freebies and enjoy the fun and frugal life of free stuff. And don't forget about the great giveaways! I am Esther and i live in Montreal.I was excited to find your blog and yes, i so do know how hard it is to find coupons in Canada than US. thanks for posting such great frugality!I love savings and freebies. I am going to regularly check out your blog! Hi! I found your site and am curious...if my book is free on Kindle Unlimited will you post about it? If your book is free to everyone that day, I will post it, but not if it is only free to a few. My book is not available on Kindle, as I haven't officially published it yet. It is available for free on Wattpad under my pen name, Oscar Hinklevitch. Right now, I really want people to read it, and it's not about making money at this point. Aside from potential constructive criticism, I need to build a fan base. Would a Wattpad story be acceptable for promotion on frugal-freebies? My novel is a YA, soft sci-fi novel. I appreciate your time and reply. Sorry, at this point I am only promoting free Amazon books - due to the format I have set up - which needs an Amazon ASIN to display the book.